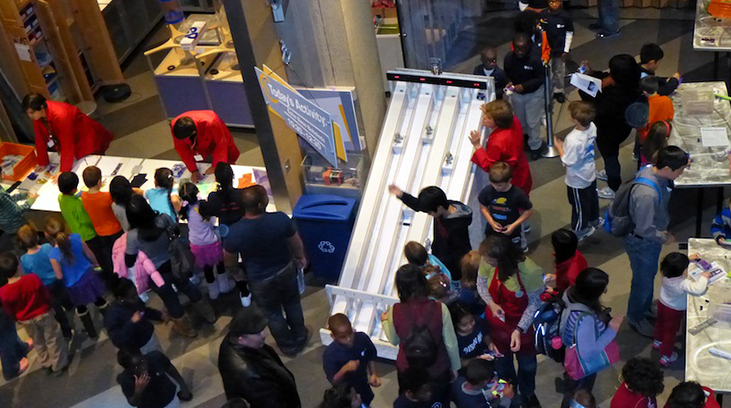 The MIT Museum and Boston's Museum of Science have a week of hands-on activities planned to mark the week long celebration of engineering occurring to school vacation week (February 18th - February 22nd) . The Museum of Science will have activities lining the floors of the Exhibit Hall during open hours. They also have a full schedule of special events and challenges throughout the week. The MIT Museum has drop-in, hands-on activities from 10 am - 1 pm followed by special presentations by local companies and MIT departments from 1 pm - 3 pm every day this week. On Saturday, February 23rd MIT's Society of Women Engineers will host a panel discussion about engineering careers, all genders and ages are welcome, but the talk is especially applicable to high school students.